This is a story of our Grandfather. Born in San Bernardino, California Moore came up the hard way. A grade school 'dropout', turned machinist for Santa Fe Railroad, at 18 he became a "boomer": the machinist's name for a "drifter." He "boomed" all over the US and Mexico until 21 when he found work in a machine tool company. As legend goes, Moore's ambitions were thwarted by the owner who told him that he didn't have the education to succeed. "I was horribly insulted" he later said, "but then I calmed down and realized that he was right". So Moore enrolled in High School as a 6' 6" 285 lb freshman and finished four years in one. 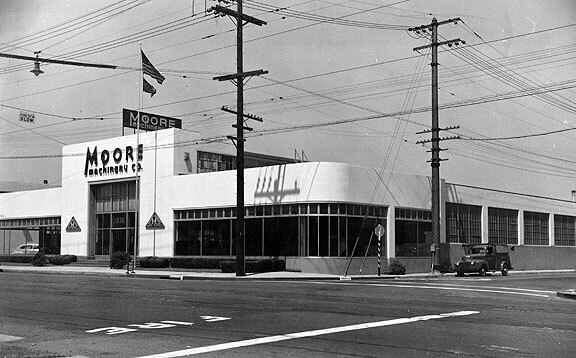 He served as a lieutenant in The Coastal Artillery during WWI and following The War worked at his old machinist job eventually buying the company in 1927 renaming it: "The Moore Machinery Company" in San Francisco. He ascribed to "a policy of never selling a machine that we wouldn't take back if the customer didn't like it." Ironically it was this policy that led to Moore's eventual purchase of Joshua Hendy Iron Works located in Sunnyvale. He paid a visit to the owners of Hendy to quiet their concerns. It was then that he saw Hendy's vast untapped potential. During his ownership (1940 through 1947) a record breaking 754 Liberty Ship Triple Expansion EC-2 Engines were produced at a rate of one every 40.8 hours. Explore his life at this dedicated website. Through a series of original images, articles and videos there you will experience his central role in the evolution of heavy industry and iron works. 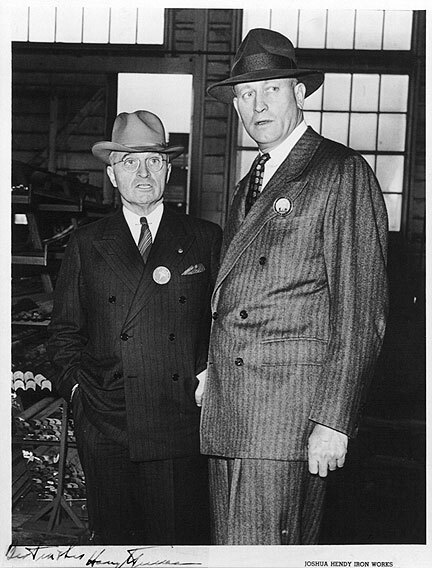 Moore was an important influence on the success of The United States during World War II. The 1940's Historical Reenactment will take you back to the day when the 400th Liberty Ship Engine was produced. Enjoy!